Give me one more summer, Old Man. While you trot along beside me in the tall grass. And you are so unsure on the ice. Watching the winter birds dart through the trees. With your head held up, face to the warmth. Breathing in the joy of a bright, blue sky day. Making me laugh at your circus acrobatics. Anymore would be a gift. If you are weary, and wish to sleep. I will kiss the warm spot on the top of your head. And gently hold you as you close your eyes. 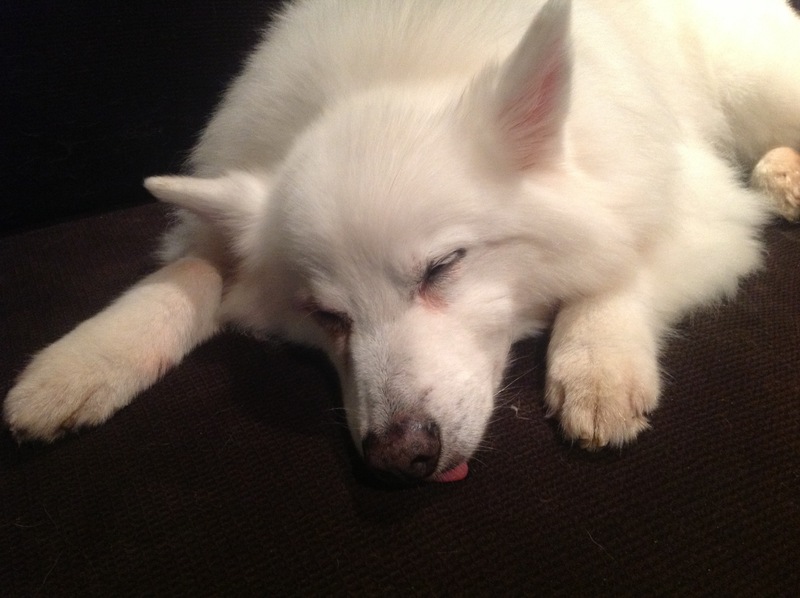 This entry was posted in Daily Life, Dogs, Gratitude, Spirit, Uncategorized and tagged Dog, spirit. Bookmark the permalink. M, I LOVE your posts. This one was soooo touching. Thank you for sharing. That was beautiful. I have an “Old Man” myself, so this really touched my heart. Thank you Pat and Beth. It’s nice to get such positive feedback. This is so true. The perennial prayer when we have a beloved senior dog. Thank you for saying it so beautifully. It breaks my heart all over again, remembering. This could apply to an elderly cat as well. My beloved Chip. 16 years old this October.